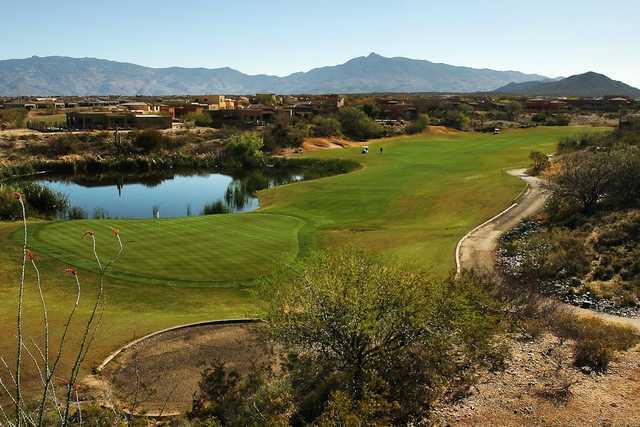 del Lago Golf Club sits at an elevation of 3,400 feet, enjoying a temperature that is five degrees cooler than Tucson in the summer, which makes a big difference under the hot Arizona sun. 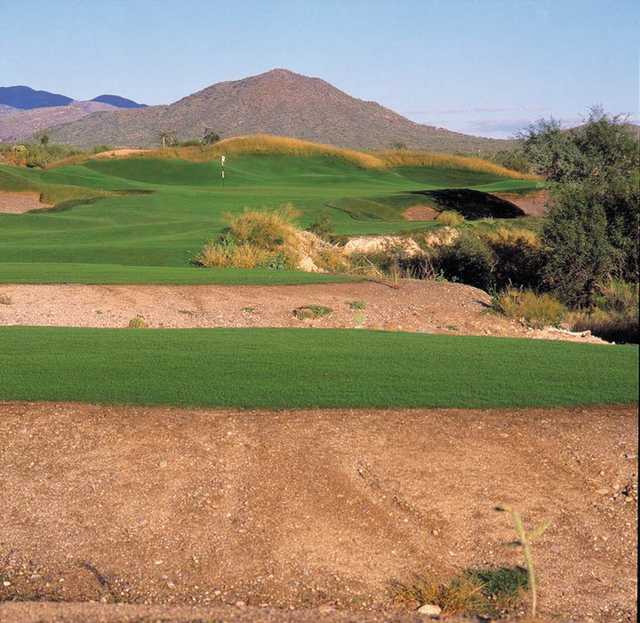 Winding through the hills and valleys of the high desert, the golf course features over 120 feet of elevation changes that present tricky uneven lies. 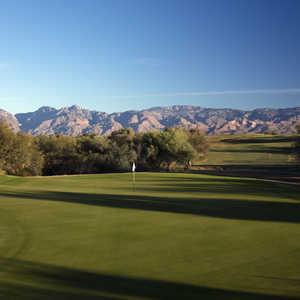 The dramatic undulations also offer beautiful views of the Rincon and Santa Catalinas Mountain ranges. 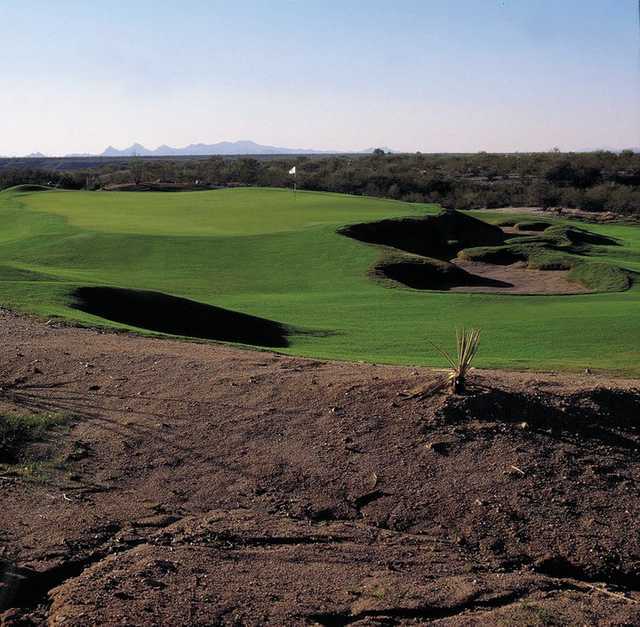 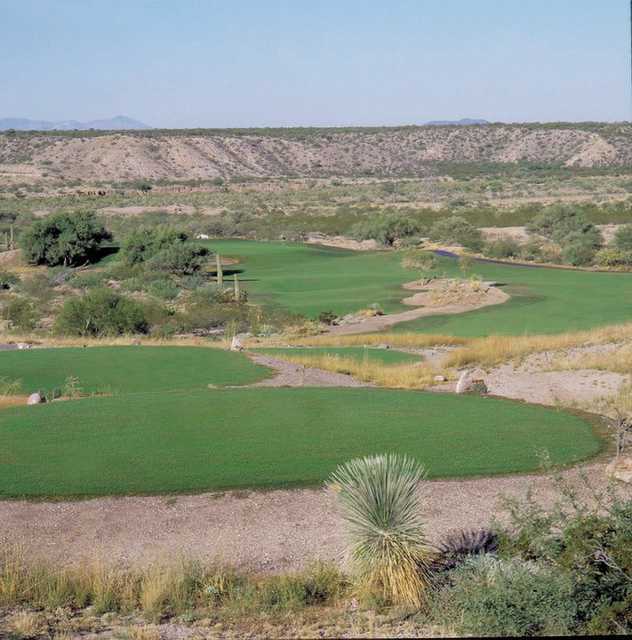 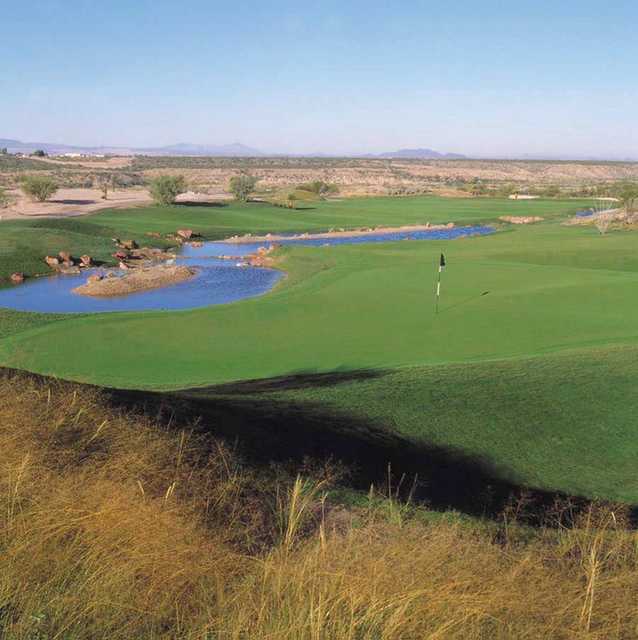 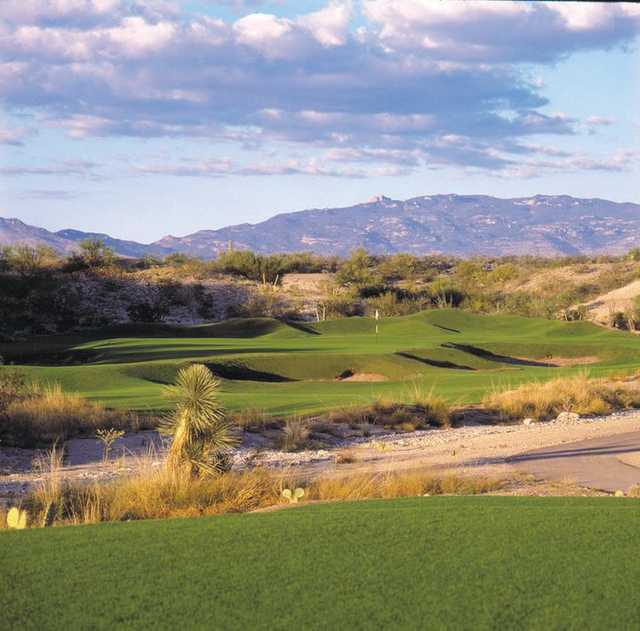 Golfers start at the highest point on the course and then play down into the valley before getting to the back nine, which plays along the Pantano Wash. 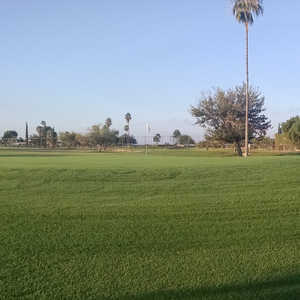 The first hole is the only forced carry on the course, the remaining holes are friendlier off the tees. 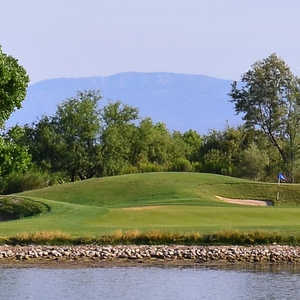 Seven lakes dot the golf course, coming into play on six holes, and there is also heavy bunkering around the greens.